The Māori Pharmacists’ Association Inc.
is delighted to announce the appointment of Tarah Nikora as our Chief Executive. Tarah is from Ngāti Maniapoto. She brings a wealth of experience to the role and has a proven track record in the field of business innovation and marketing. Tarah comes with a BA Māori degree and Honours in Māori Economic Development and Internet Marketing. This is something the MPA has planned for many years and we are excited about the opportunities this will bring to help us achieve our moemoea vision. "to lead Māori responsiveness in the Pharmacy Sector in the development and delivery of services aimed to increase medicines optimisation for Māori and ultimately improve Māori Health outcomes"
The Annual Hui-a-tau and AGM of the Association will be held at Owhata Marae in Rotorua on the 28-29 March 2015. Applications for TWO (2) Scholarships at Otago University to undertake a PGcertPharm endorsed in Medicines Management in 2015 have been announced. The recipients are SASHA DOBIE and DANIELLE MAULDER. Sasha works sole charge in a rural community pharmacy at Edgecumbe. Apart from dispensing medicines and providing health care advice over the counter Sasha also delivers ECP, TMP, Clozaril, Methadone and MUR services . Sasha would like to pursue post-graduate studies to compliment her MUR service and provide even better medicine advice for our tangata whenua. Dani is now a sole charge pharmacist, working with 1 technician at Ngā Hua Pharmacy, a community pharmacy located within a Māori Health care provider in Hamilton. Te Kohao Health provides low and no cost health care to low income families, and offers a range of other services including social services & education services. Dani is enjoying working in a new place & getting to know the staff & especially the customers. She is in the middle of completing her MUR training & gearing up to tackle Postgrad next year and looking forward to the new challenges ahead ! The Postgraduate Certificate comprises two papers: PHCX541 Medicines Information and PHCX542 Medicines Management. Watch this video on School of Pharmacy at Otago University. Ngā Kaitiaki o Te Puna Rongoā o Aotearoa - The Māori Pharmacists’ Association Inc. (MPA) has been endorsed by Pharmacy Council of New Zealand to provide education programmes to assist pharmacists in response to the changes to Competence Standard 1 - specifically Cultural Competency, incorporating Hauora Māori. MPA are the ONLY endorsed provider to have competency in Hauora Māori and Pharmacy. The developed programme therefore aims to provide relevancy to how you as pharmacists must practise in New Zealand’s culturally diverse environment. Cultural competency will require pharmacists to have accessed knowledge and maintain ongoing competence as defined in the Pharmacy Council’s recertification process. Workshops will be provided in response to demand and opportunity. Workshops will be facilitated in a 1 day participatory session, with learning objectives directly relating to Competency Standard 1 and pharmacy specific learning. The cost of the session will be $370.00 (incl GST) with experienced facilitators. Màori Pharmacists' Association is asking for all interested parties to contact our Administration Manager, on admin@mpa.maori.nz in the first instance, to ascertain dates and geographic location for these workshops. Please email admin@mpa.maori.nz for further information. 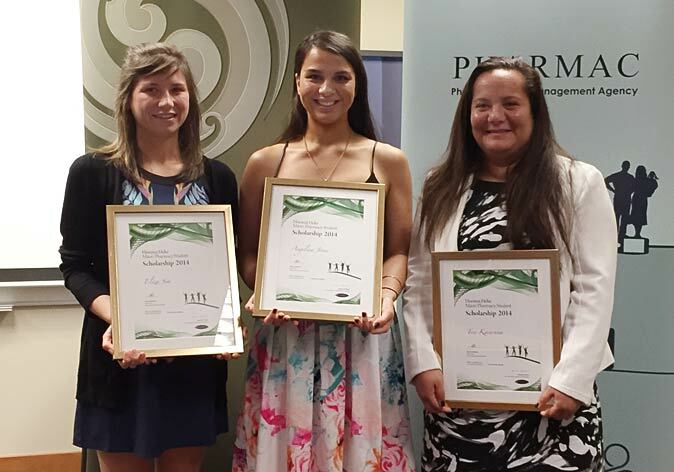 The Hiwinui Heke Scholarships are jointly sponsored by PHARMAC and the Māori Pharmacists Association (MPA), and the awards are the first scholarships ever available to Māori Pharmacy Students. 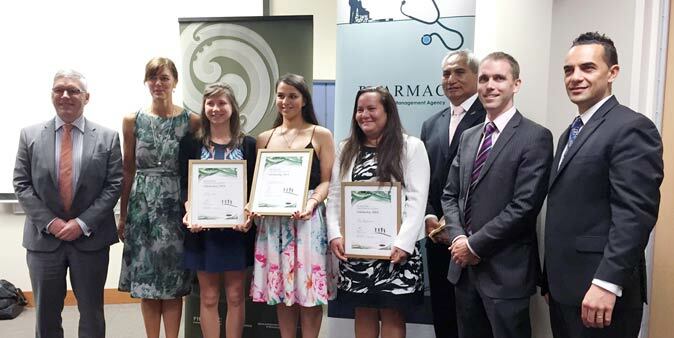 The scholarships are named after our kaumatua Hiwinui Heke (Te Arawa), who is deemed to be the first Māori Pharmacist - graduating in 1955 and continuing to work in a Rotorua pharmacy part-time. a member of Ngā Kaitiaki o te Puna Rongoā o Aotearoa - The Maori Pharmacists' Association Inc. and must attend the annual Hui-a-Tau. 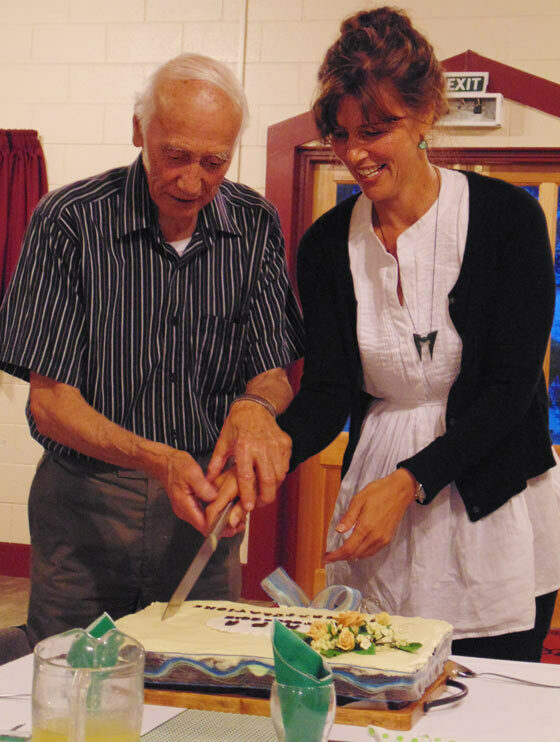 Ngā Kaitiaki o Te Puna Rongoā o Aotearoa - The Māori Pharmacists' Association Inc.
Matua Hiwinui Heke and Leanne Te Karu cutting the cake in celebration of the 10th anniversay of the Association. If you would like to be a member, please click here for information. We are inviting all those pharmacists, pharmacy pre-registrants and pharmacy students who identify themselves as Māori to register with "Ngā Kaitiaki O Te Puna Rongoa O Aotearoa - The Maori Pharmacists' Association." click here to download a questionnaire.